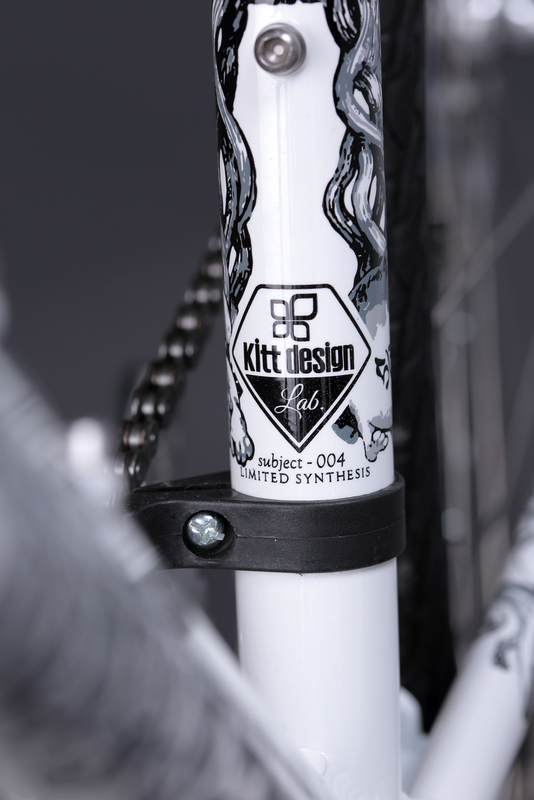 We are pleased to inform you that we decided to launch the limited and irregular release model Kitt design Lab.004 as ROJI BIKES which is collaboration project of Tern and Kitt design. 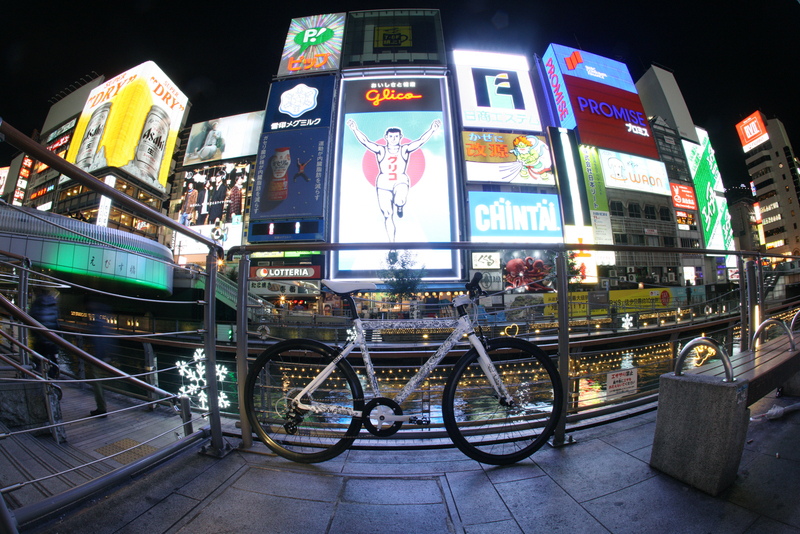 ROJI BIKES since September 2015 which is collaboration project of Tern and KItt design. 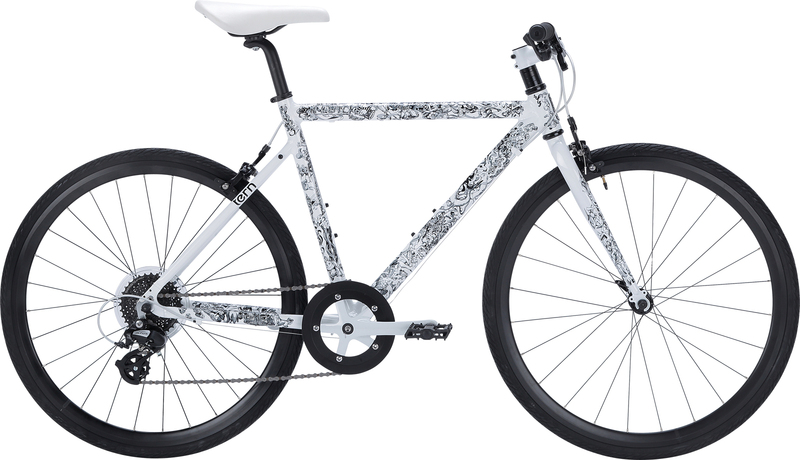 ROJI BIKES not only aim at stylish, sporty and fashionable urban bikes which combine convenience and practicality but also pursue comfort and beauty during the ride. 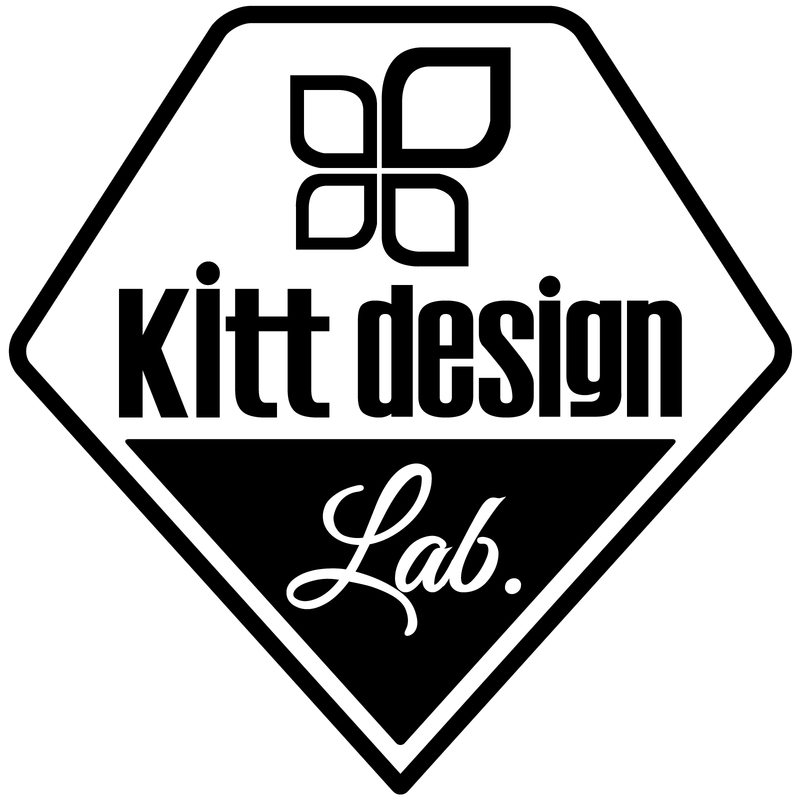 Kitt design lab 4th model based on an exsisting model and flavored by originality of Kitt design will be launched. The Lab 3rd model based on Surge was launched September 2016 gained a good reputation and already sold out. 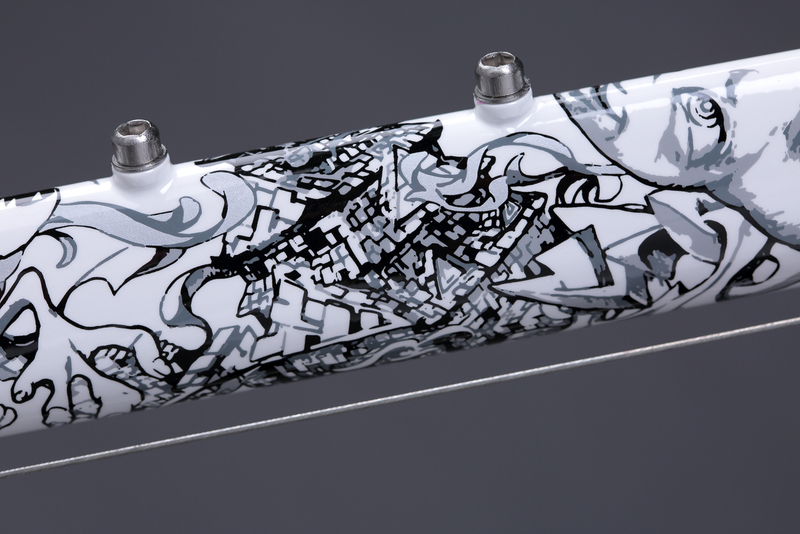 Kitt design adopted popular model Clutch as 4th model which is having various color variation and sizing. 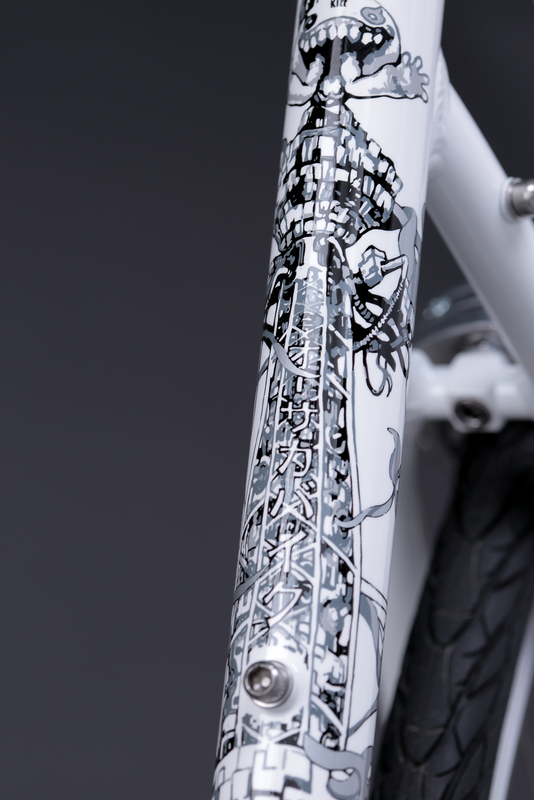 They dared to select the plain frame and designed 15 kinds of illustrations of “Virtual Osaka” everywhere on bikes. 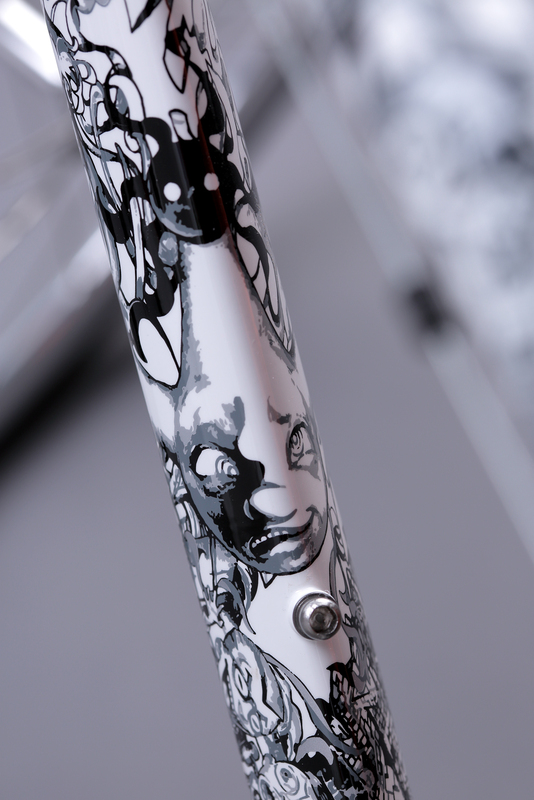 Their conception have bikes reborn as artistic products without being constrained by the framework as bikes. *Limited production of only 50 units. Various illustrations are designed everywhere on frames. The name of original model is designed newly only for this limited model. The logo which indicates limited model is inscribed. 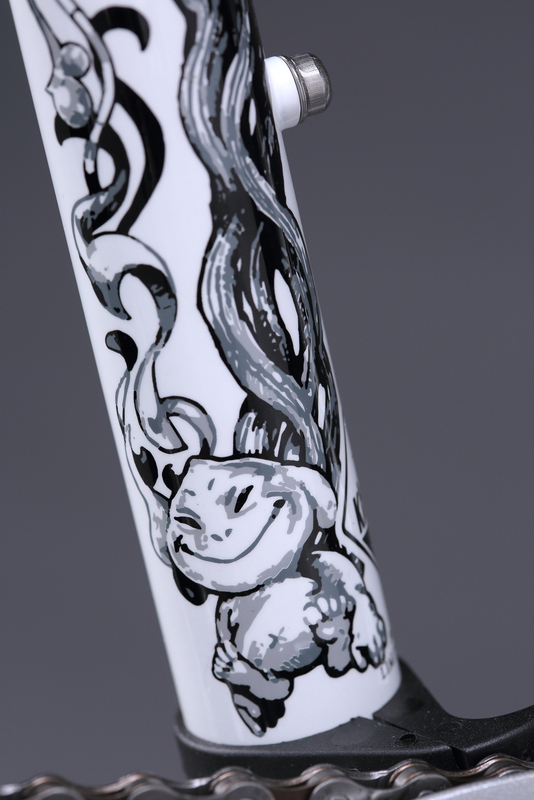 Those who order this bike will "without exception" receive limited T-shirt of UNI-VIRTUAL. 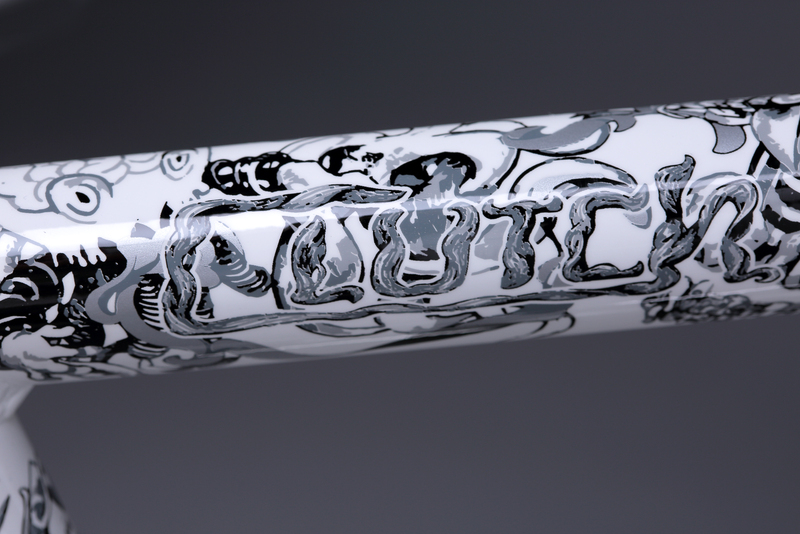 Please contact the Tern Authorized dealer for details. The 4th model is also limited model with full of preferences of Kitt design. Scheduled to be launched early March 2017. 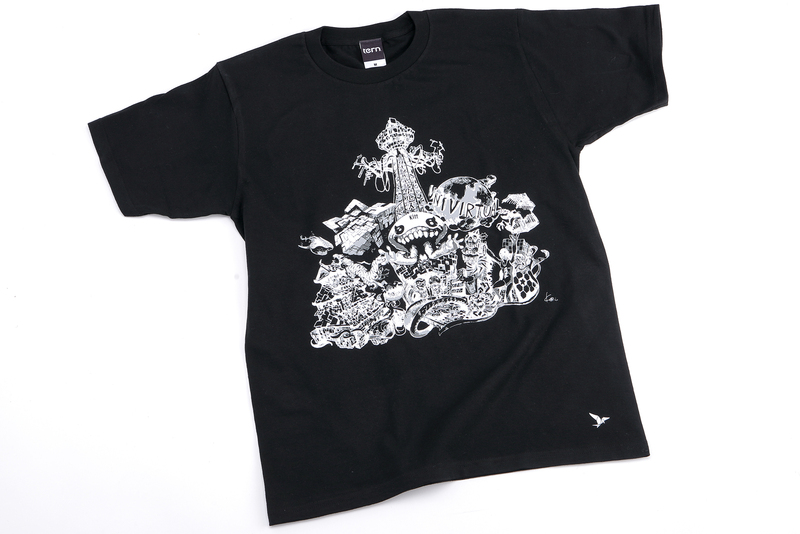 -Kitt design Lab.- the experiment which quests special stylishness will be continued.